Adventures are the best. Adventures where you connect with like-minded souls and form lifelong friendships are even better. Here at Knowmad we hear stories of college roommates reuniting for a trip after years of losing touch; or old friends that remain just that, old friends, because of an annual travel experience they share together; or even loose-knit groups that grow into tight-knit ones because of a unique journey to South America. It’s stories like these that make us proud to offer the Journey to Machu Picchu, a women’s active and cultural adventure. This 8 day itinerary is $2,375 in land costs (airfare not included – see below for pricing details) and runs March 26th to April 3rd, 2016. On this all women’s trip to Peru you’ll find yourself day hiking the Inca Trail to Machu Picchu, biking through Andean villages, exploring and unwinding in the Sacred Valley and discovering Cusco and Machu Picchu with one of the best guides in all of South America. 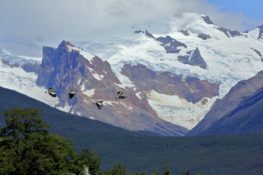 A fixed date departure trip is a new concept for us – because we typically build custom, private trips to South America (ie. travelers come to us with their group, time frame, and budget and we offer guidance to create a trip that fits their interests). So it’s not the norm that we first plan the itinerary and then unite strangers (soon-to-be-friends) on an adventure. However, over the years so many women have contacted us in search of an adventure like this one. A trip where you are active during the day; hiking part of the Inca trail, kayaking or stand-up-paddle boarding on an Andean lake, biking through the scenic Sacred Valley and, of course, exploring the ruins of Machu Picchu. A trip where you get to truly experience the culture whether it be by taking an optional cooking class where you shop for your ingredients in a local market beforehand, or being welcomed into an indigenous community where you learn about the weaving process from the plants used to make the dyes to shearing the sheep, or be it simply meandering the cobblestone streets of Cusco, a city rich in history. A trip where you end your days in charming hotels, with good conversation and even better company. A trip where you create truly incredible memories with a diverse group of women while bonding through a shared passion for adventure. We feel honored to design this itinerary to play a part in connecting wonderful and adventurous women. Read on for trip highlights, the itinerary and pricing details. Learn the process of creating colorful, hand-woven textiles as you spend time with an indegenous community. After your short morning flight to the former Incan capital of Cusco where Andean cultures come alive (don’t be surprised when the language doesn’t sound like Spanish – it is most likely the native Andean tongue Quechua), you’ll be met at the airport by your guide and driver. Departing for the Incan sights outside Cusco, you’ll visit the fortress Sacsayhuaman and its megalithic stone terraces; Kenko, with its carved stone surfaces and subterranean altars; and if time permits, the Puka Pukara fortress that protected the royal capital from attacks; and the water temple, Tambo Machay. Continuing through the mountains with inspired views to the snow-capped Andean peaks, you’ll stop for lunch at a delicious local restaurant. Descend into the Valley of the Incas and arrive to Pisac – one of Peru’s largest and most vibrant markets – where you can bargain with Andean campesinos for hand-crafted wares. Continue through the valley and check in to your accommodations. Take the evening to unwind, explore and acclimatize. Departing from your hotel early you will head to village of Chinchero, a scenic area predominated by high-altitude indigenous farming and weaving communities. Continue on through the village and to Piuray Lake where the kayaks and gear will be ready for you to begin paddling along the shores with your guide. Paddle according to your fitness and experience, enjoying awesome views of the Veronica and Salkantay glaciers, as well as mountains and agricultural terraces around the lake. Along the lake you’ll see fishermen and farmers doing their daily work, as well as some native plants and wildlife. You’ll also have the opportunity to try standup paddle boarding on the lake. Arriving back to the shore, stones will have been heating for around 5 hours in preparation of your pachamanca, a celebratory meal traditional in these areas. The chef will explain this tradition and the dish and you will participate in this elaborate and unique ancient preparation technique. In the afternoon you will drive and/or walk about 3 km to the community of Umasbamba, an old and beautiful hacienda populated by traditional Andean farmers and weavers, where you will learn about the Andean traditions and the magic of waist loom weaving, as well as the harvest of the dying agent plants, washing with natural soaps (roots), spinning and weaving. There is also a nice after school project at Umasbamba that you can visit after the demonstration, if time allows. with and without experience alike. Traversing the altiplano landscape with sweeping vistas to snowcapped peaks over 16,000 feet high, you arrive to Moray – a little-known site thought to be an ancient Incan agricultural laboratory. After enjoying a gourmet picnic lunch in the shadows of the Andes, you’ll get back on your bikes and pass through a traditional colonial village. Continue on the downhill section to Maras where villagers still harvest the pre-Colombian terraced saltpans in the traditional way. From here you can choose to continue the descent down to the Urubamba Valley floor, hike an alternative trail, or return to the valley by van. Relax at your hotel in the evening with dinner at your leisure. Heading out early you’ll take the train along the Urubamba Valley to kilometer 104 where you’ll begin hiking the Inca Trail. Crossing a footbridge you pass Winay Wayna ruins with its extensive terracing and water fountains. A gourmet picnic along the trail will have you refueled. Hiking a total of approximately 5 hours, you finally edge along a ridge to catch your first dramatic views of the Lost City of Machu Picchu from the Sun Gate Inti Punku. Arriving to the Sun Gate in the evening helps avoid crowds and allows you to first see Machu Picchu when it is less visited. From here you will descend to Machu Picchu Pueblo to toast your feat of retracing the ancient Incan pathway to Machu Picchu and your upcoming full-day exploration of the site. Note: For those who would not like to hike, you can continue on the train and have an extra day to independently explore Machu Picchu. Must confirm upon registering for the trip, and please inquire for details. Early risers can watch the sunrise from the Machu Picchu citadel or make the early morning climb of Huayna Picchu Mountain. This incredibly vast archeological site – lost to the world until well into the twentieth century – is perched amongst Andean peaks and lush cloud forest making it one of the most breathtaking sights in the world. You’ll have the opportunity to get a complete guided tour of the site as you begin to unlock the mystery of the Inca, and will also have plenty of time to explore the ruins on your own. Lunch at the adjacent Sanctuary Lodge means you’ll be able to enjoy the whole day without leaving awe-inspiring Machu Picchu. You will descend from Machu Picchu and take the early evening train back to Ollantaytambo where you will continue by van to Cusco for a relaxing evening. Enjoy the day independently exploring Cusco, one of South America’s most dynamic cities. Visit Incan architectural jewels such as Korikancha – the temple of the sun, shop at Andean markets, enjoy incredible Peruvian cuisine, and see the colonial cathedrals around the Plaza Central. You can also choose to take an optional cooking class. You will be picked up at your hotel in the morning and taken to the historic San Pedro Mercado. This authentic food market is the place of choice for local Cuzqueno people to do their grocery shopping, and filled with a cacophony of sounds, vibrant colors, and pungent aromas. Explore the market alongside your chef guide learning about Peru’s diverse cuisine and ingredients while getting a real dose of Peruvian culture and meeting some of the chef’s favorite local providers. From here you’ll be taken to the chef’s beautiful open-air cooking laboratory in the countryside just above Cusco where you’ll tour the garden sipping a delicious pisco sour before the cooking instruction begins. After your interactive cooking lesson and a delicious lunch you’ll be taken back to your Cusco hotel. Enjoy the morning at leisure to continue exploring Cusco. You will be picked up at your hotel in the afternoon and transferred to the airport in accordance with your onward flight to Lima. After arriving in the Lima airport you will be responsible for checking in and catching your international flight. This is often a long & unavoidable layover, so save a few pages in your book or enjoy dinner or spa service across the street at Ramada and then fly out. You will be picked up at your hotel lobby in accordance with your onward flight to Puerto Maldonado. Upon arrival you will be met by an Inkaterra Reserva Amazonica representative and be taken to the pier and head upriver for approximately an hour to the lodge. Before boarding the boat, you will have the opportunity to reshuffle some of your baggage to bring a smaller amount of your luggage to the lodge (remaining luggage will be locked up and remain in their offices until you return from the lodge). Additionally, international and regional airfare is estimated at $1,200 to $1,500. $655 single supplement – rates quoted are per person, based on sharing double accommodations. If you request single accommodations you are required to pay the single supplement. $725 for the 3-night / 4-day all inclusive package including mandatory 10% service charge (Note: There is also the option for a 2-night / 3-day package for $575. Please inquire). Additionally, international and regional airfare is estimated at $1,300 to $1,600. $160 Single Supplement for 3-night / 4-day package (Note: $130 for 2-night / 3-day package). **Note: Tour price based on minimum 8 travelers. 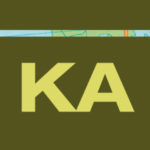 Knowmad reserves the right to adjust this price in order to accommodate fewer registrants should there be less than 8. Trip size is capped at 16. TYPE Fixed Date Departure. March 26th to April 3rd, 2016. Please click the link to download the full Journey to Machu Picchu – Women’s Active & Cultural Adventure itinerary and inquire with Renee Davies at 612-315-2894 (ext. 105) or Renee@KnowmadAdventures.com for more information. 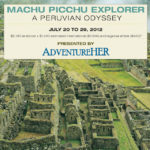 Feel free to share this post with an amazing woman in your life that deserves an adventure in Peru!